Giants in the City by Alejandro Mendoza Artist/Curator. The creation of Giants in the City was born out of my desire and necessity to express my work into a giant scale and to give art accessibility to a massive interaction in all sectors within the community. Art exhibition is fascinating to everyone. 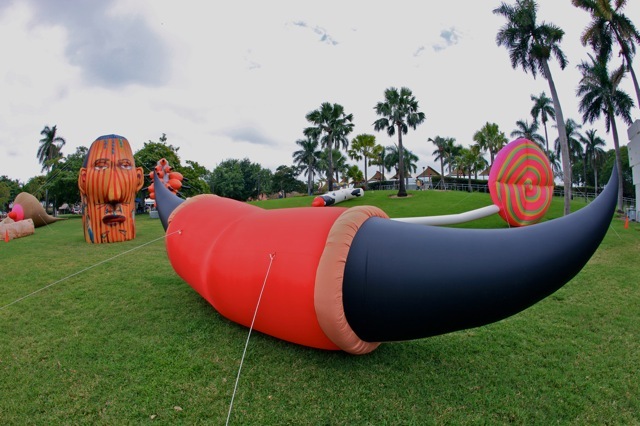 The Giants are a contemporary visual art experience, a great alternative for any cultural event, giving the community and general public a peculiar collective art show. Made of Urethane coated Nylon they take, in the hand of the artists, magical powers—a power to insufflate life to fixe forever in our memories, a gaze, a visage….What story do they tell us? To what summits are they attempting to lift us? These giant sculptures are of a troubling and even violent beauty. Their gazes have the power to penetrate our soul and emotionally move us by their strange composition. These are the result of an unbelievable mastery of technique, a gigantesque ambition, a deep understanding of narrative all woven in a expressionist force in which oceans of bursting muscles unleashed by out of size feet and hand ….these are closed ups reinforcing the idea of power. But, in their eyes, one can see as through a confession, human fragility, our hopes and dreams, our tears and bursts of laughter. Looking at these sculptures, one no longer needs to refer to influences of artistic schools; one sees that these artists have escaped the post-modern dogma to allow us to finally breathe out our humanity. This is not an art that flirts with exotic academia. The Giants are modern, contemporary, universal and of the order of myth. They tell the story of humanity, the greatness and fragility of human king! These sculptures are “intelligent”, they can be moved from one place to another quickly and easily. The Giants resemble a colossal paradigm of an urban nomad; made to survive in the city… they live and feed themselves with the city’s air. 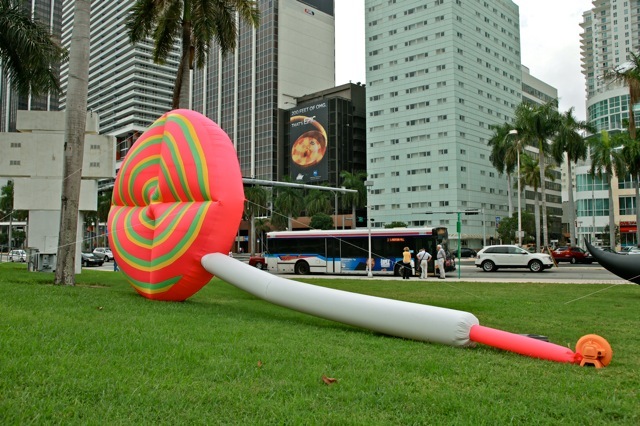 First in Mexico City and then in Miami, The Giants project has involved several fractions of the community, Private and Government Institutions, Art Organizations and Galleries, attracting international spectators, local art enthusiasts, as well as the “people on the street” who never planned to visit an art exhibit. Giants in the City, Bay Front Park Miami 2009. View: Gustavo Acosta/Cuban. Giants in the City, Brickell Ave. Downtown Miami. 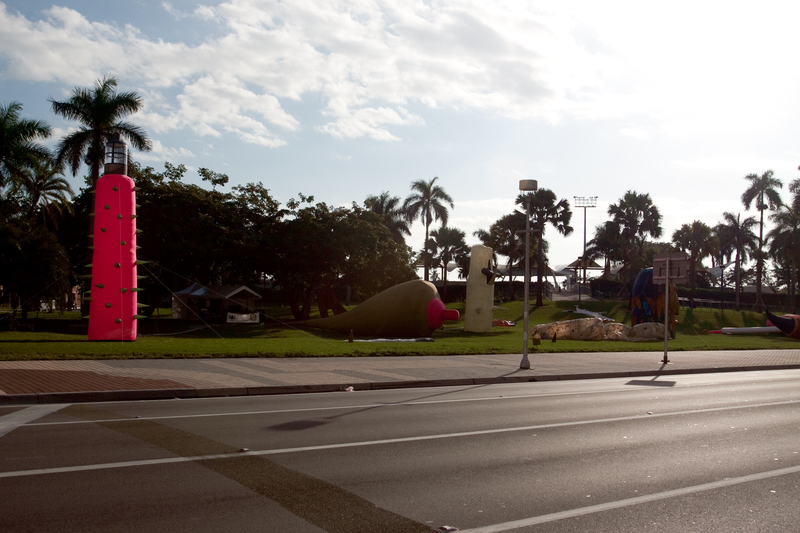 Giants in the City, Bay Front Park Miami 2009. View: Angel Ricardo Rios/Mexico. 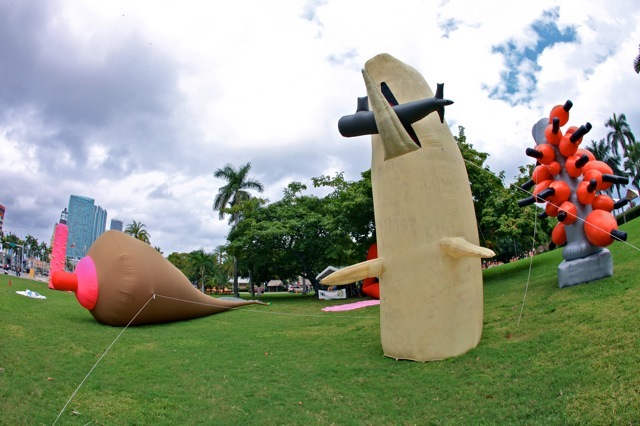 Giants in the City, Bay Front Park Miami 2009. View: Tomas Esson/ Cuban-American. 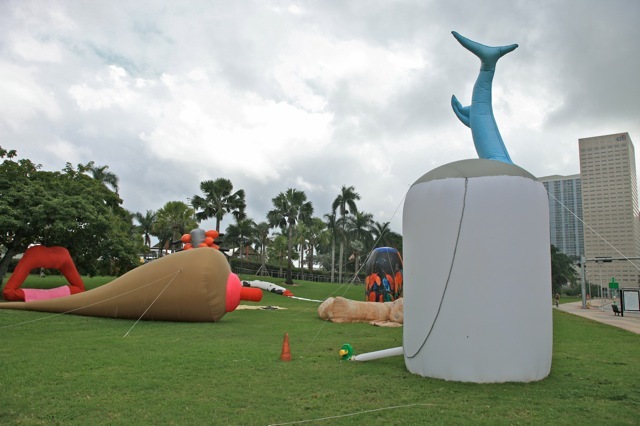 Giants in the City, Bay Front Park Miami 2009. View: Jose Bedia/ Cuban. 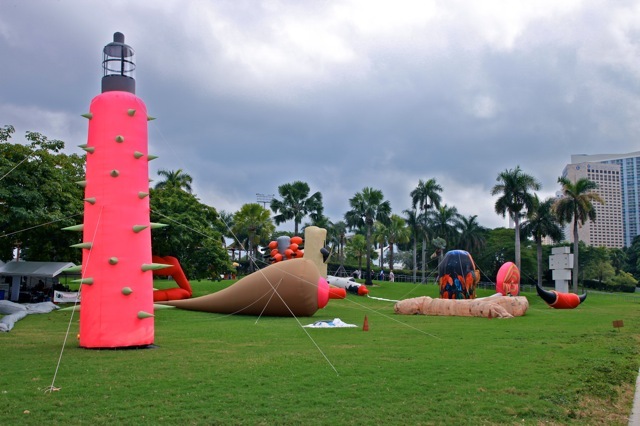 Giants in the City, Bay Front Park Miami 2009. View: Ramon Williams/Cuban. 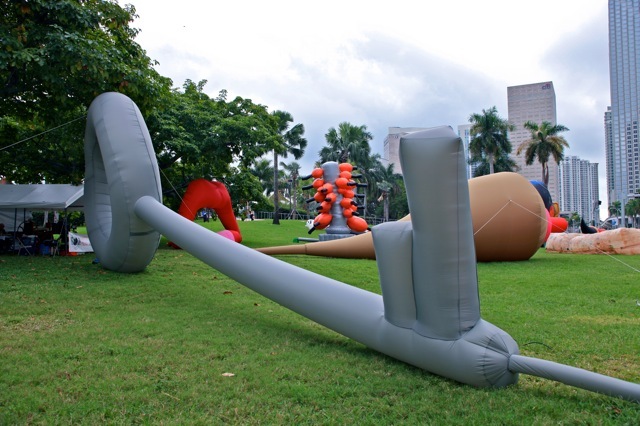 Giants in the City, Bay Front Park Miami 2009. View: Karen Gilinski/Venezuela. 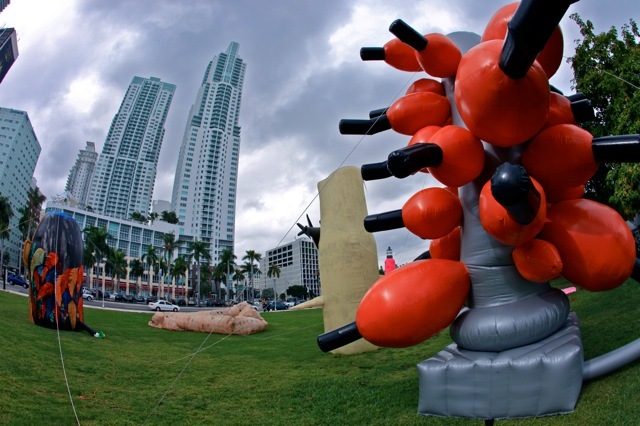 Giants in the City, Bay Front Park Miami 2009. View: IRREVERSIBLE/Venezuela.